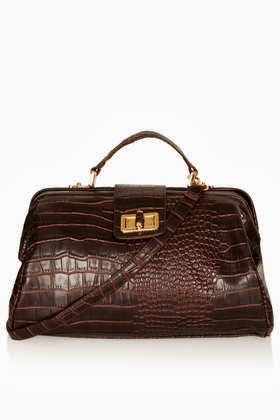 Now much as I’d love an “Alexa” from Mulberry at the cost of a mere £1,200, I’m much more likely to settle for this lovely Croc Doctors Bag in Mulberry from Topshop (do you see what I did there?). And, with the £1,160 I’ve saved, I could, ooh, I don’t know, get the house repainted. It’s all about budgeting at the end of the day; isn’t it? "I’ve Been A Bit Distracted By …Soap & Glory – 12/10/13"
I adore Louis Vuitton but I think I'll have to wait for a lottery win! Yes! Think you better had!